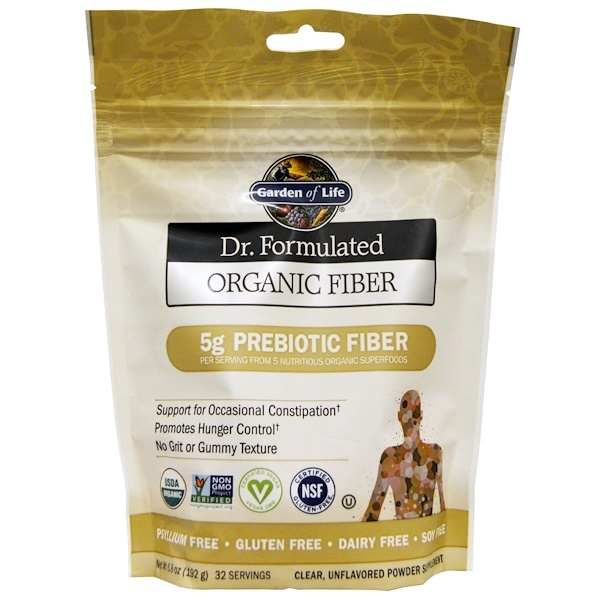 Clear, odorless, unflavored and packed with goodness, Organic Fiber is an easy and convenient way to boost your favorite beverage or food's nutritional value with a single spoonful. Prebiotic Fiber from real, Organic, Non-GMO Whole Foods helps curb appetite, promotes growth of healthy probiotics in the digestive tract, supports healthy digestion, elimination, and occasional constipation. Adults add 1 Tablespoon to at least 8 oz of water or juice, smoothies, soups, or any soft food and stir. Dissolves easily and mixes clearly. Caution: Consult your healthcare practitioner before using this product, especially if you are pregnant, nursing, anticipate surgery, take medication on a regular basis or are otherwise under medical supervision. 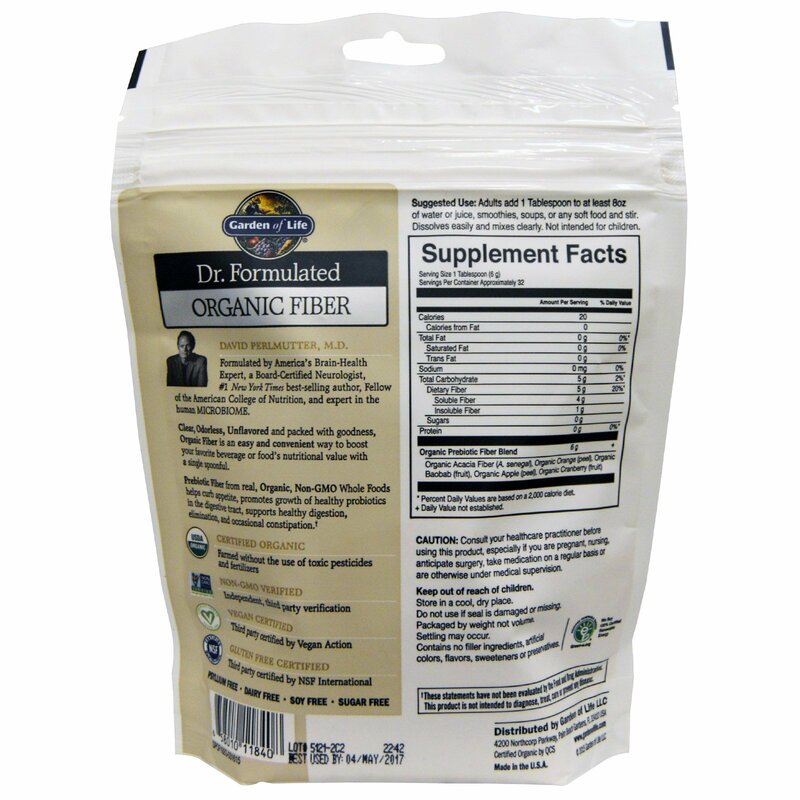 Contains no fillers, ingredients, artificial colors, flavors, sweeteners or preservatives. Organic Acacia Fiber (A.senegal), Organic Orange (peel), Organic Baobab (fruit), Organic Apple (peel), Organic Cranberry (fruit).